On Monday, we brought you Part I of our annual round-up of pink items benefiting breast cancer research. Here are a few additional items from our collection – a selection from Wilson®’s Hope® line for the sports nut! This ladies' glove is made with a super soft leather palm and thumb. With every purchase of a Hope® golf glove, a donation is made to the Breast Cancer Research Foundation®. Harmonized putters feature a great-looking grip and micro-injection face insert that produces superior feel and accuracy. Ladies’ right hand. 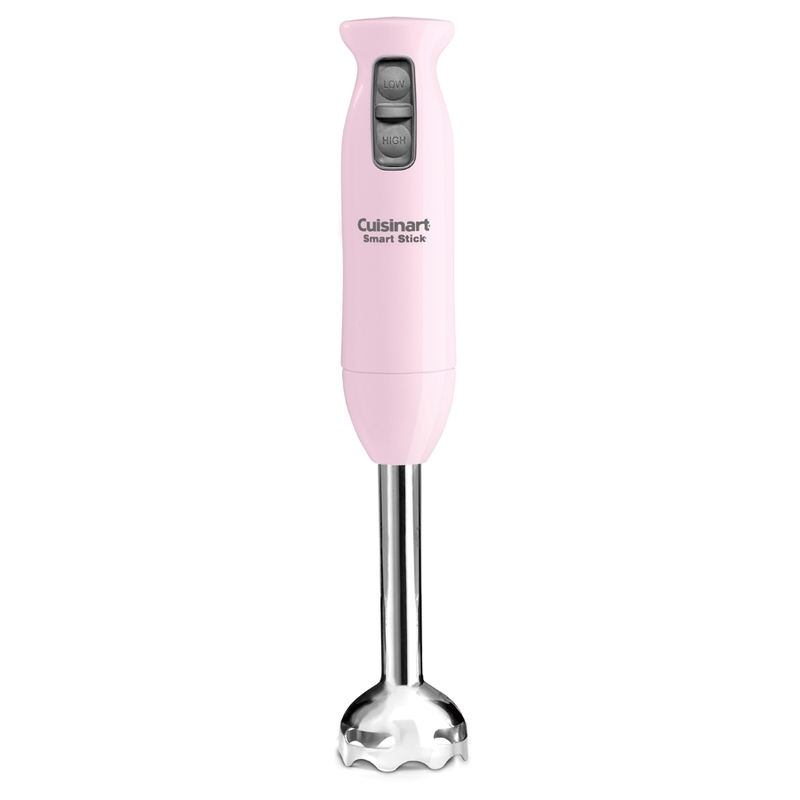 A portion of proceeds go to Breast Cancer Research Foundation®. The miniature Hope® football features a waterproof sponge rubber cover. 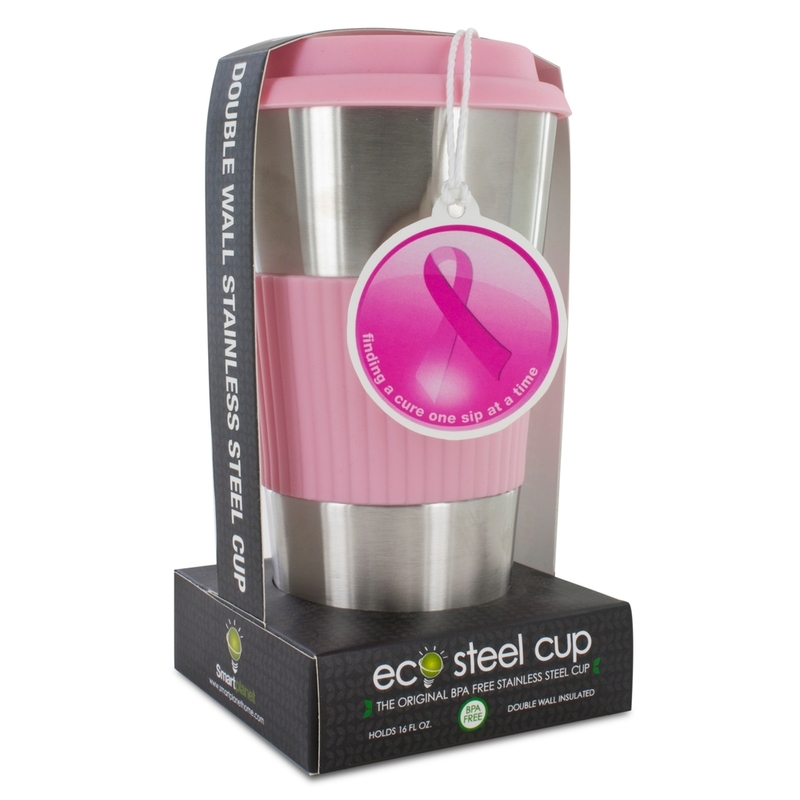 A percent of all sales is donated to the Breast Cancer Research Foundation®. 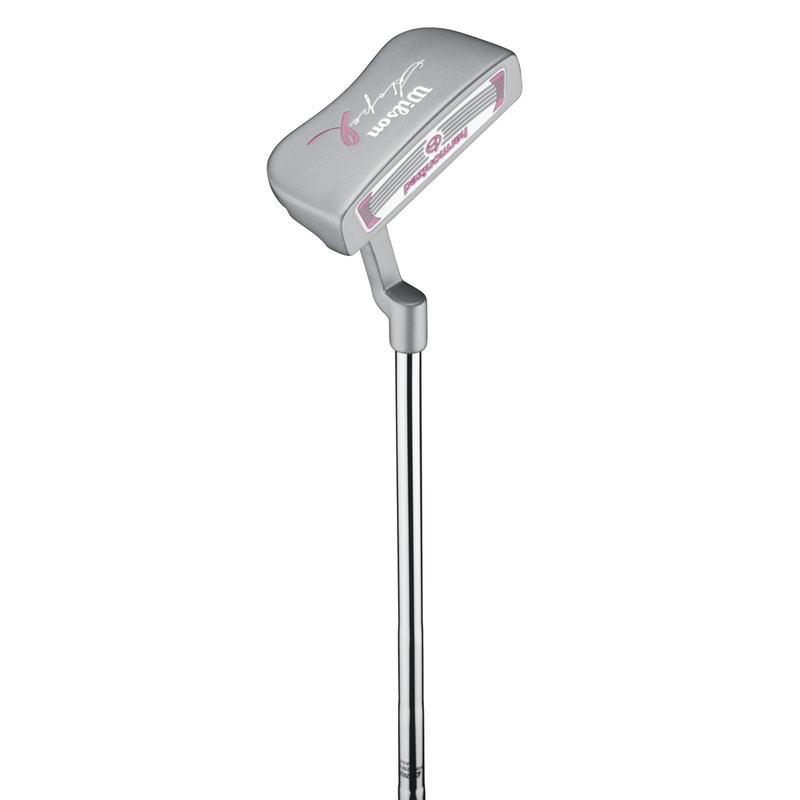 The ladies' golf ball generates a double dose of virtue with every swing. With a high-quality construction that drives straight and true while playing soft on the green, these balls are responsive and powerful. A diamond edge design provides for lightweight power and maneuverability. 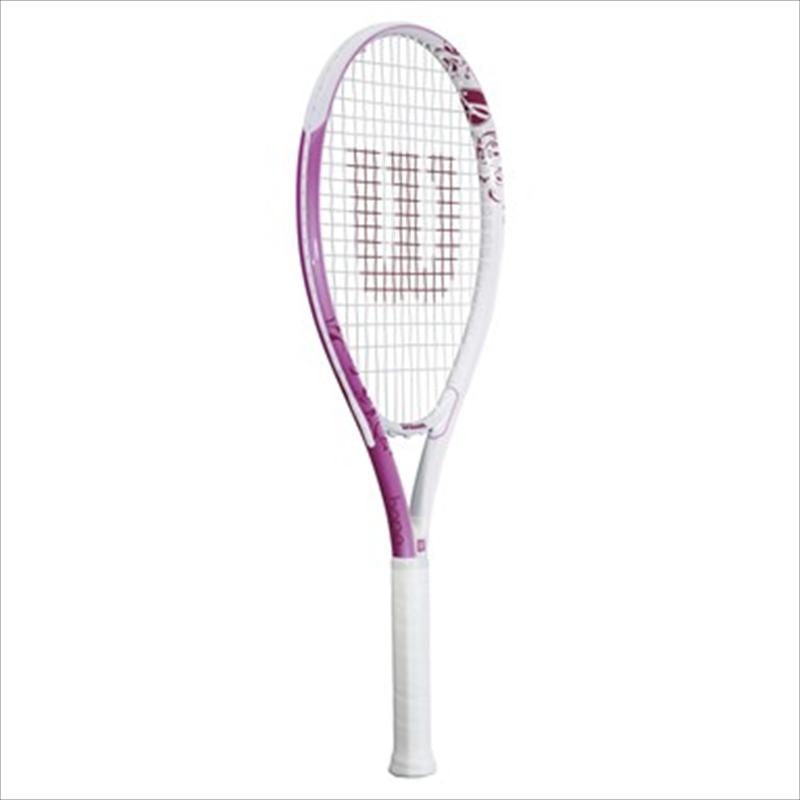 It measures 27” L with a 113” head size and 16x19 string pattern. 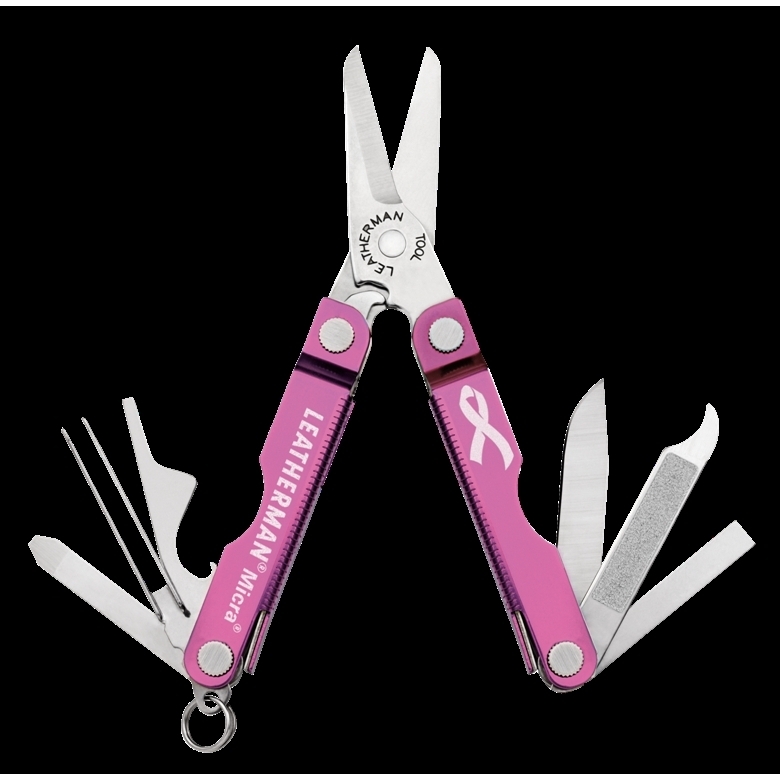 A portion of the proceeds go toward breast cancer research. 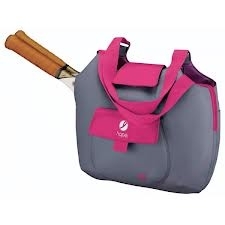 This sporty and stylish pink racquet bag holds up to three rackets and includes a shoulder strap. 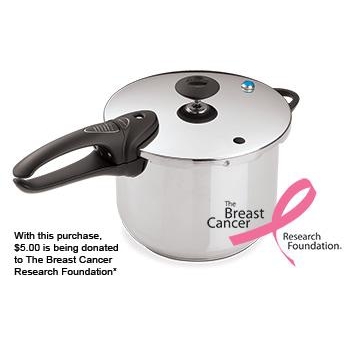 A percentage of proceeds will be donated to the Breast Cancer Research Foundation®. 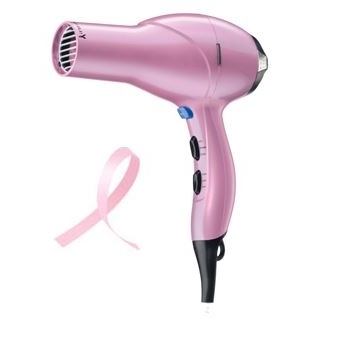 This week’s Merchandise Monday column featured a bunch of new pink products just in time for Breast Cancer Awareness Month – so many new products, that we couldn’t fit them all into one post! In the spirit of awareness, we created a double-edition of Merchandise Monday with even more pink products for you to enjoy. 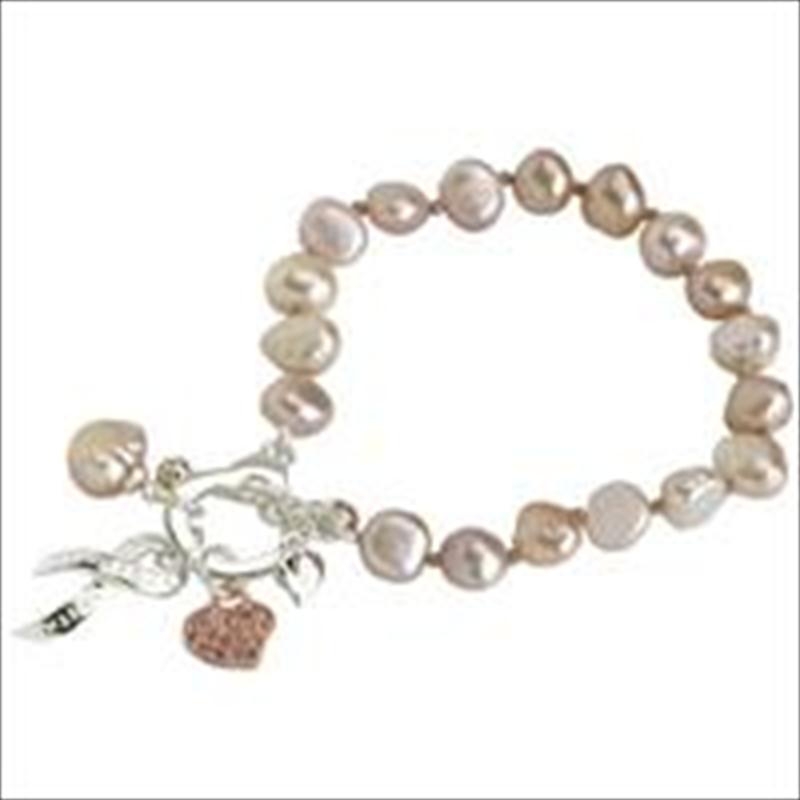 Show your support for courageous women everywhere and fight for the cure with this trendy charm necklace. 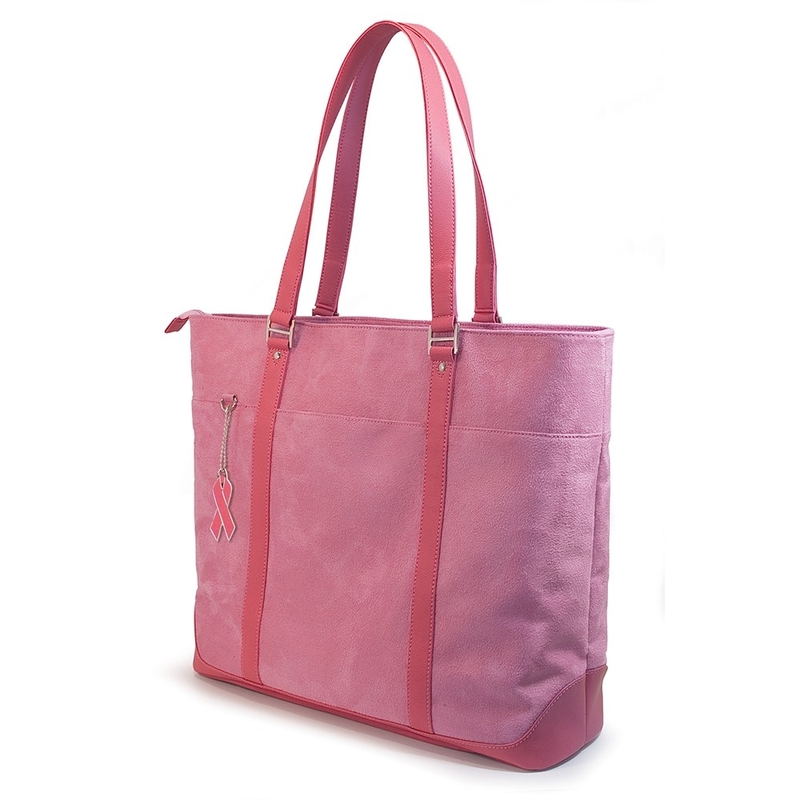 From the Breast Cancer Awareness Collection, this is a sentiment of hope in the continuing fight against breast cancer. This fashionable 30-inch antique gold-tone chain pendant with a 6-inch drop adorned with the coolest collection of coins, charms and keys that will win the heart of anyone who wears it. This necklace comes in a special pink satin pouch. Creates gorgeous, beachy waves with Tourmaline Ceramic™ technology, which prevents hot spots, reduces frizz and helps eliminate static. The Wave Ultra features ultra-high 30-second instant heat and auto-off. Fabulous hair, fabulous cause – what more could you ask for? Girls who love curls can get them in an instant with these hot rollers. The clips and rollers are both heated for extra hold and infused with ceramic technology for better heat transfer. New Xtreme provides the fastest heat-up – 75 seconds! The set of 20 ceramic multi-sized rollers includes eight jumbo rollers (1.25"), six large rollers (1"), six medium rollers (.75"), and 20 heated clips. Other features include stay-cool end rings, a ready dot, an on/off switch, a power indicator light and a 5’ line cord. A favorite around the world, this unique "tent-top" cooler is perfect for average-sized lunch appetites at work or school. 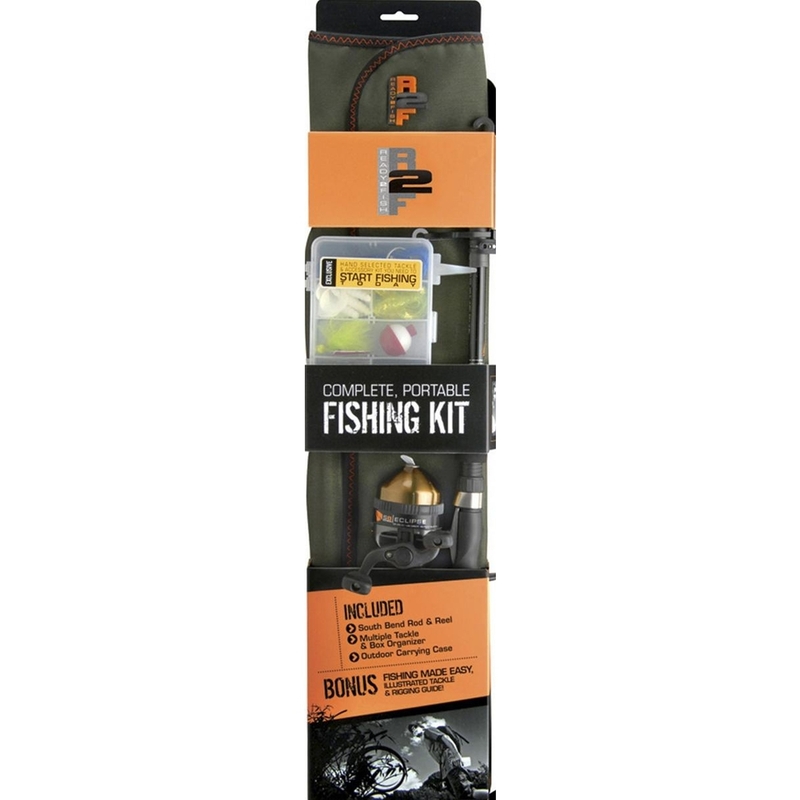 A top push-button provides easy one-hand opening in a smaller size. 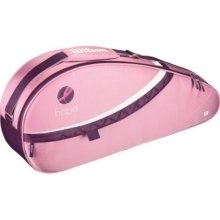 The tent-shaped locking lid helps prevent spills. The cooler lid swings open to either side for easy access with a molded-in easy-carry cooler handle. 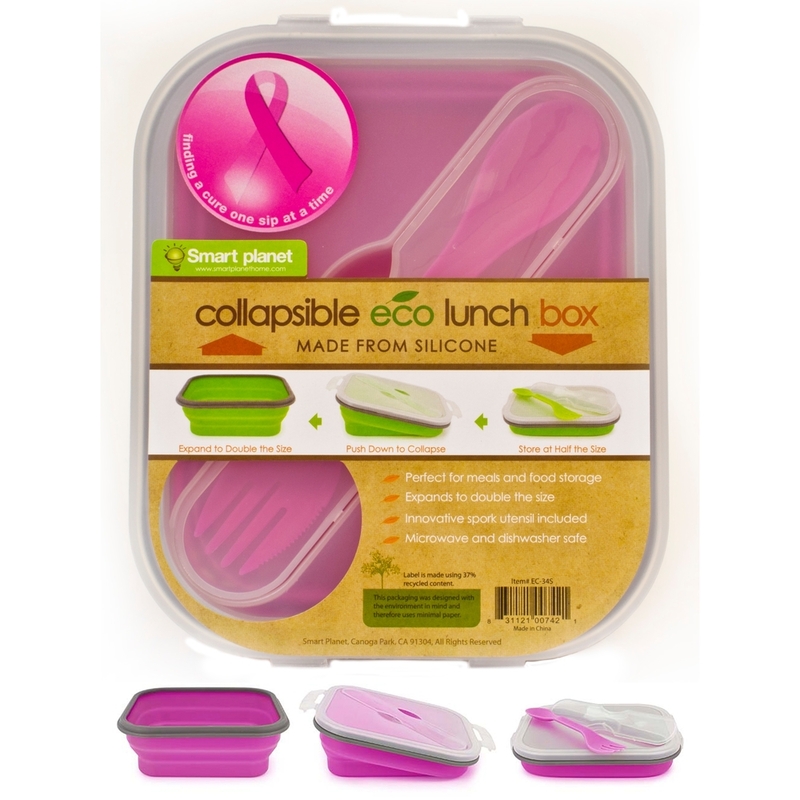 This pink lunch cooler is stain- and odor-resistant with a white interior liner. This classically designed coffeemaker is accented with stainless steel for a look that is sure to enhance your countertop. The 12-cup carafe features an ergonomic handle, dripless spout and knuckle guard for comfortable, drip-free pouring. Fully automatic, features include 24-hour programmability, Brew Pause™, a gold-tone coffee filter, a charcoal water filter and a 1-4 cup setting for those times when you don’t need a full pot of coffee. The powerful motor crushes ice instantly with no liquid added and it blends, purées, chops, mixes, and liquefies all with the push of a button! With enough power and speeds to do it all, the SmartPower features a 40-ounce glass jar with dripless pour spout, a 2-ounce removable measured pour lid, innovative Italian design and is BPA-free.